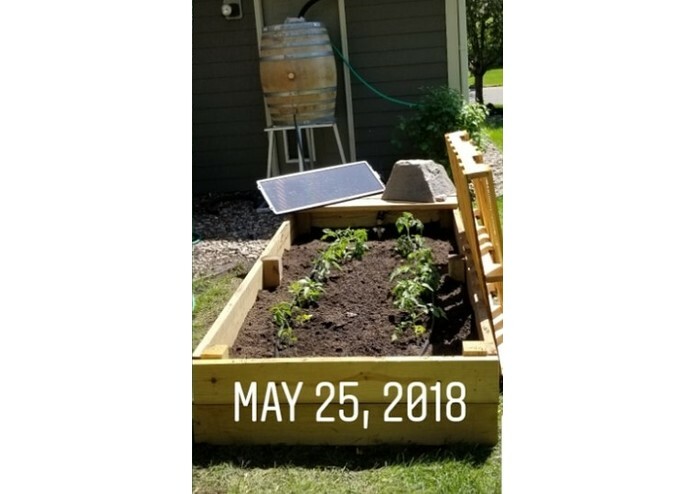 A solar-powered IoT irrigation system activated using a mobile app, a Digital Assistant, or a variety of sensors. I started gardening three years ago as a therapeutic outlet to combat my boredom, and immediately fell in love with it. What started as a passing interest soon became a passion. However, the garden I tended was at my family's house, 12 miles away from where I lived. This meant that if I wanted to water my garden, I would have to drive a total of 24 miles, just to turn a simple valve. I figured that this wasn't happening to just me. This made me consider all of the driving that goes into the process of food production in general, and all of the carbon dioxide produced as a result. For instance, when we drive to the grocery store, as most Americans do to get their food, we burn fossil fuels to get there. Likewise, the trucks that distribute that food from the farm to store are also burning immense amounts of fossil fuel along their trips. All of this driving back and forth is contributing heavily to the destabilization of our planet's climate, and is ultimately unsustainable. I intend to provide people with tech-based solutions to common gardening problems. I'll start with my initial Gutters to Gardens system depicted here, which gives people the ability to control the flow of water in their gardens remotely. Whether that is from their home, using AI assistants like Amazon's Alexa, or whether that's from their mobile phone at the cabin hours away, the Gutters to Gardens solution will work just the same. Gutters to Gardens in its current form, though, is only the beginning. With this technology, it would be possible to integrate automated temperature and humidity sensors as well as deploying components like fans, lights, and opening and closing vents. With this system, it would also be possible to connect a camera as a kind of horticultural version of a baby monitor. The opportunities for innovating off of this initial platform are diverse and exciting. 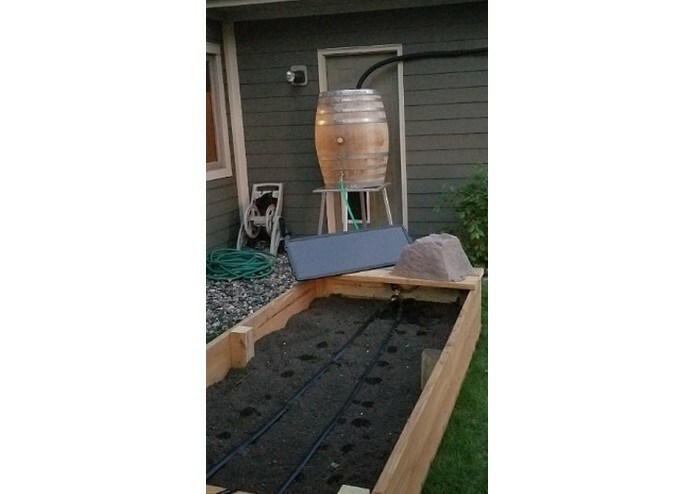 I used a 55 gallon wine barrel to collect rainwater from a gutter. This could be expanded to an array of multiple 55 gallon drums or a 500 gallon water container as desired. You may want a pump. For my prototype this wasn't needed, but there may be situations in which it is. For instance, if the downspout of your gutter is far away from your garden, or if your water container is not raised. If the water container is raised like my prototype, then a solenoid valve will work just fine, as gravity will do all of the work in moving the water. If the container is not raised, it will be necessary to use a pump instead. In my design, the container was raised 30" off the ground in a structure designed to resemble a municipal water tower. The quirky design is not required, but comes highly recommended. 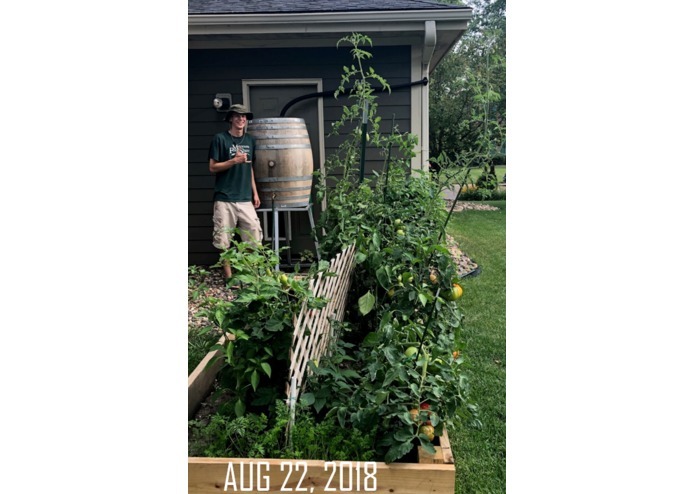 Was invited to China in august to compete in the China-US young makers competition, and watering my garden from half way across the planet. A little bit of C++, Welding, What a PCB is, a little bit of physics, a respect for other people, learning how to learn. Build more gardens connected to the internet.